Black Dahlia & White Rose is a brilliant collection of short fiction from National Book Award winner and New York Times bestselling author Joyce Carol Oates, one of the most acclaimed writers of our time. These stores, at once lyrical and unsettling, shine with the author’s trademark fascination with finding the unpredictable amidst the prosaic—from her imaginative recreation of friendship between two tragically doomed young women (Marilyn Monroe and Elizabeth Short), to the tale of an infidelity as deeply human as it is otherworldly. 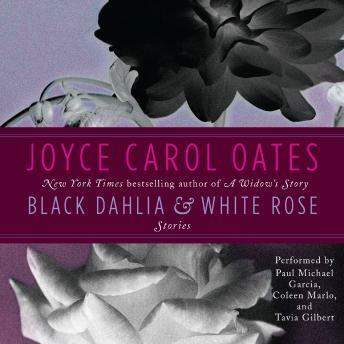 Black Dahlia & White Rose is a major offering from one of the most important artists in contemporary American literature; a superb collection that showcases Joyce Carol Oates’s ferocious energy and darkly imaginative storytelling power.